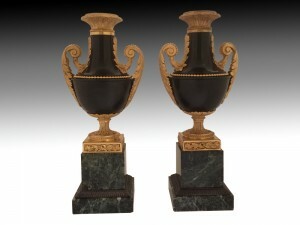 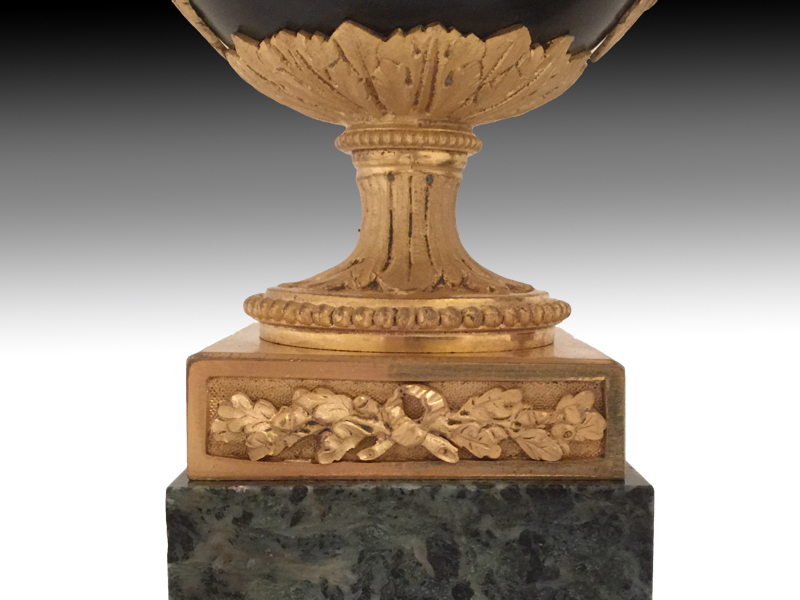 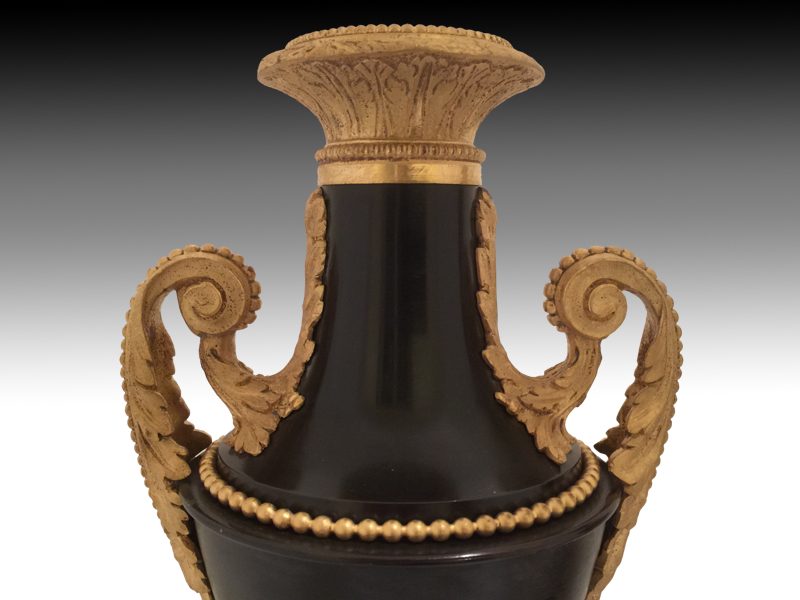 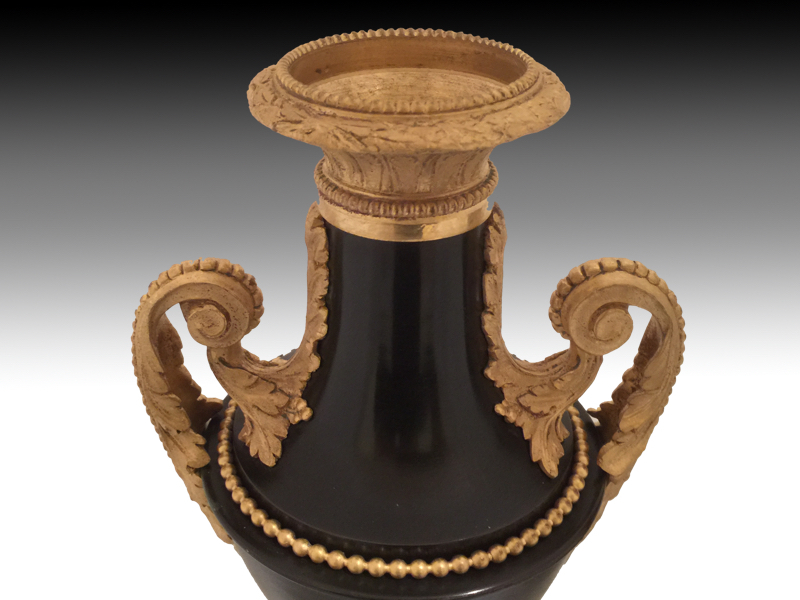 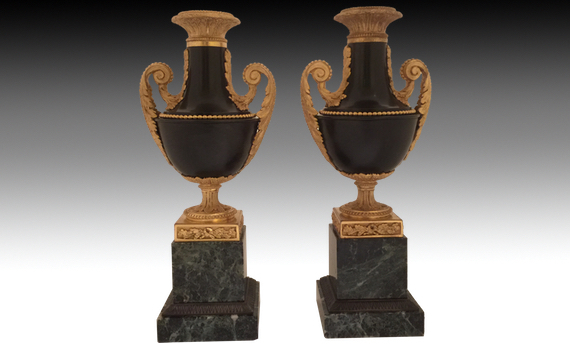 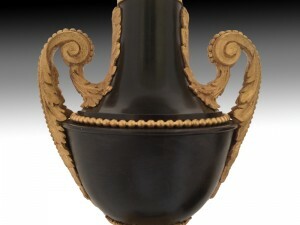 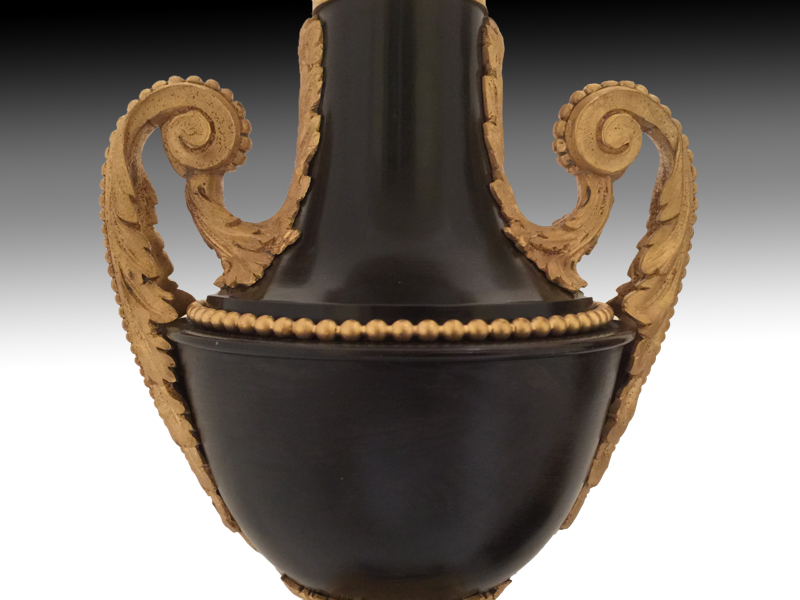 A pair of late 19th century, french, Louis XVI style gilt & patinated bronze urns. 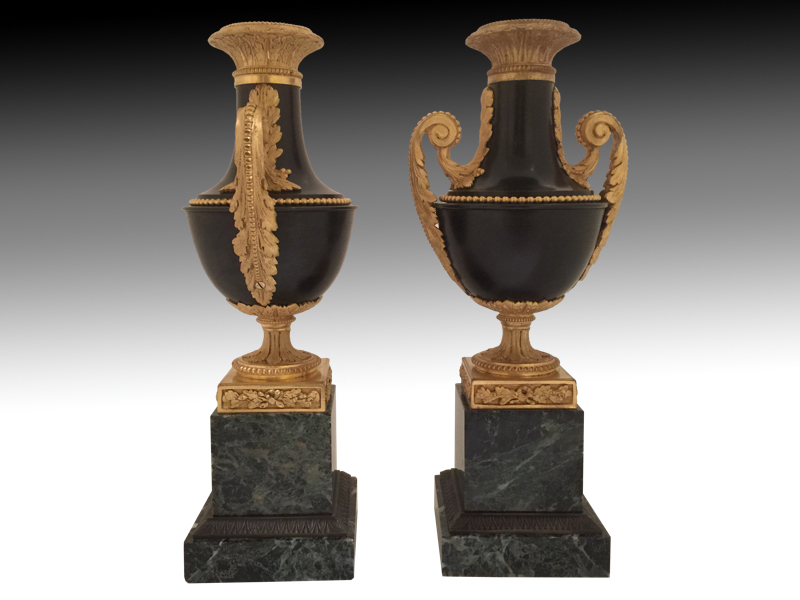 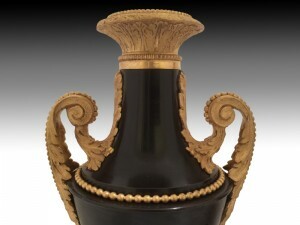 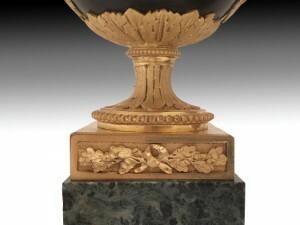 The flared water leaf gilt rims above bulbous shaped bronze bodies, flanked by acanthus cast handles with a beaded rim, standing on a flared socle with square platform and verde antique marble stepped base. 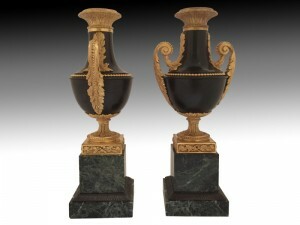 Original mercurial gilding and dark green/brown patination. 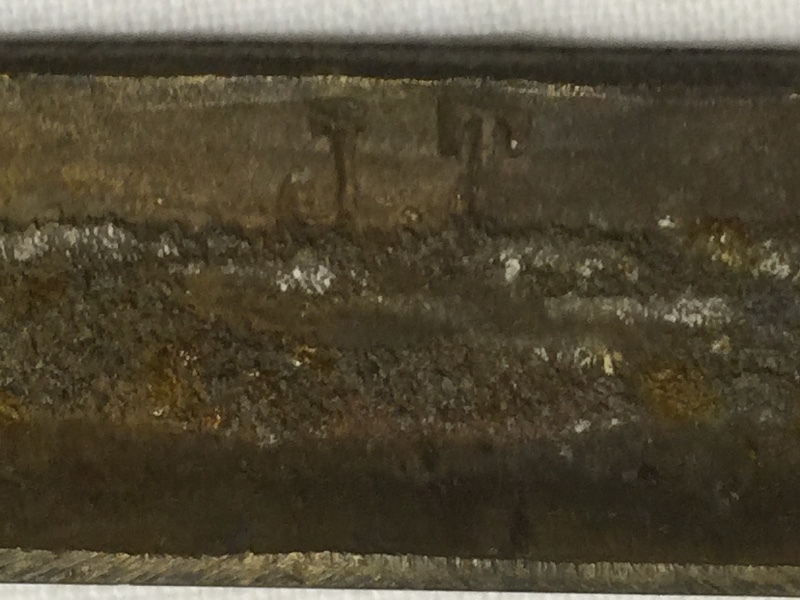 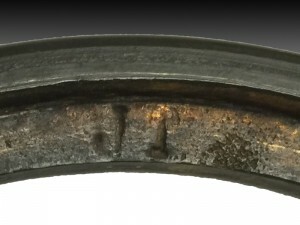 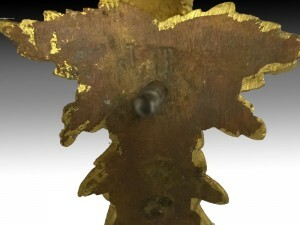 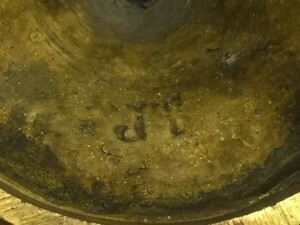 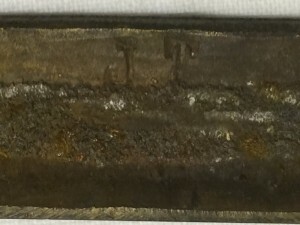 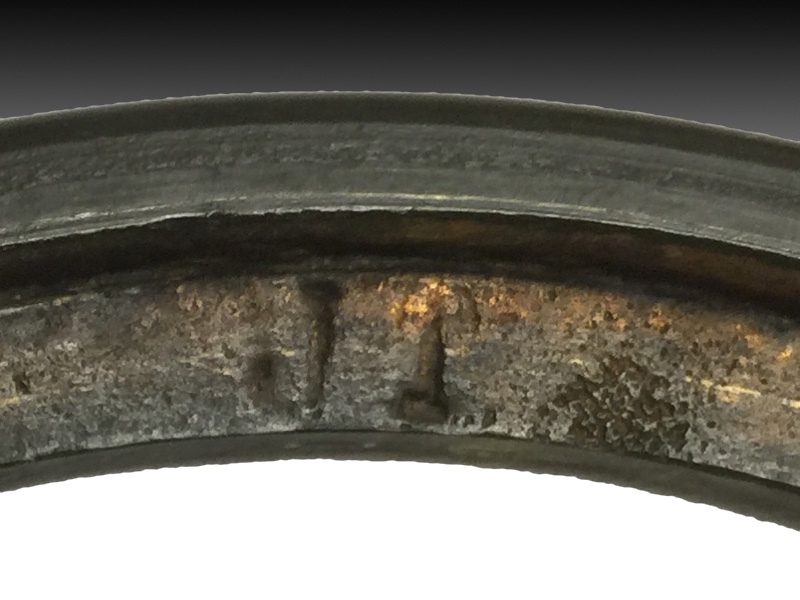 Each mount stamped ‘JT’ to the underside.